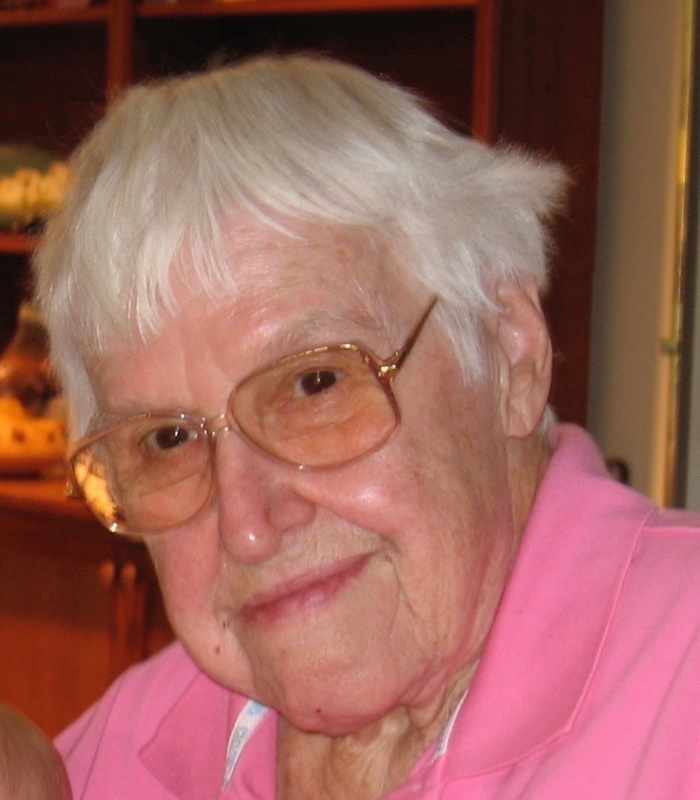 Catherine A. Grimes, 97, a resident of Brookdale Senior Living at Apache Junction AZ, died peacefully on Saturday, June 17, 2017. She was born August 5, 1919 in Lemont , IL to Herman and Mary Blasing. Catherine was an excellent homemaker and cook who also excelled in arts and crafts, enjoyed traveling and being involved in volunteering for Child Crisis Center and Sunshine Acres projects and activities. She is survived by two sons and daughters-in-law, Tom and Elise Grimes of Tucson, AZ and Howard and Cecilia Grimes of Los Ojos, NM; three grandchildren: Ryan Grimes (Dawn) of Indiana; Shelley Martinez (Greg) of NM; Stacie Spaulding (Bruce) of SC; eight great-grandchildren: Allan, Cameron and Breanne Grimes, Caitlyn, Alexis, and Bryan Martinez , Kaleis and Mia Spaulding; two brothers Bernie and Joe Blasing (Marilyn) of Aurora, IL; sister-in-law, Barbara Blasing; brothers-in-law Erwin Hochalter and William Grimes, and numerous nieces and nephews. Catherine was preceded in death by her husband of 64 years, Walter E. Grimes; sister, Loretta Beecher; brother Robert Blasing; in-laws; Pat Blasing, John Beecher, Mary Blasing, Harvey and Margaret Grimes, Ronald Grimes, Paul, Margaret and Eileen Grimes, Perry and Eileen Grimes, Annamae Hochalter, Francis and Frances Brouwers, Dorothy and Howard Graham, Helen Grimes. According to her wishes, she will be buried alongside her beloved husband, Walter at the National Memorial Cemetery of Arizona. i am so sad for all of you.My heart goes out to all of you. She was a great lady and friend. To the Grimes’ family. I am so sorry to hear about your loss. She was a great lady. Our thoughts and prayers are with you. Catherine Grimes was my Mother’s dearest friend for so many years. I remember much laughter around the kitchen table between them. Enthusiastically discussing their creative projects such as sharing baking, and canning recipes, gardening, sewing, knitting, house and Church related projects. My Mother missed Catherine and Walter so much when they moved away from New Lenox. She always spoke so fondly of Catherine and Walter. True dear friends….Catherine and Walter were so good to both my Mother and me. We were richly blessed to have Catherine and Walter in our lives with their generous warm and gracious friendships. Bless you all Grimes family at this difficult time. Catherine and Walter’s hearts of gold will live in each of you as they were truely the most kind hearted ‘salt of the earth’ people..